Life Is Like A Sushi Roll. Call me crazy but there really is no other meal in the world as simple as this Japanese classic. Don’t get me wrong friends, I am not trying to dictate how our behaviors affect our very existence – which is partially true. All I am doing is rolling some lessons up into little morsels of fishy delight. Opportunities are like those little plates of sushi on a conveyor belt that keeps turning and turning. Life is always about choices but are we making the right ones? And when you have a tasty plate sitting in front of you, you ignore it as you greedily eye the moving belt to snap up other “good stuff”. Instead of filing your table with too many “plates”, you should savor the one you already have, chew on it and enjoy every bite it has to offer. Now that you have finally managed to grab that sushi roll between your chopsticks without poking your eyes out (cue:applause), you will want to dip it into soy sauce first. Prior to popular belief, the right way to dip is fish-side down instead of the rice first and all you need is just a touch for the flavors to shine through. However, many times we drown ourselves with so much “sauce” that we lose the essence and simple-ness of what life has to offer. Lastly, be sure to take a pause once in awhile, breathe slowly and just enjoy your surroundings. 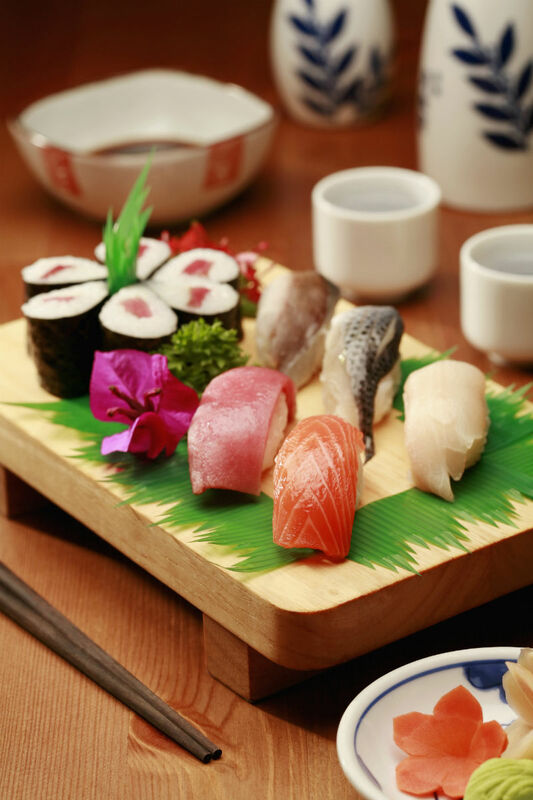 There is a flow in eating sushi, every step counts in magnifying that taste experience and every piece is meticulously created to please the eye and the palate. Life is never perfect but we have the control to shape it into a nice little round ball, and bind it with a seaweed of values. Only then, can we consume it all in one bite without making a mess of ourselves. So are you living the Sushi of Life today? How To Make Money With The New 123RF Affiliate Program?